I'm Peter Ansah and I welcome you to my Surf School & Camp, the Ahanta Waves. After teaching surfing for many years, I opened my own Surf School in Busua in 2015 with good help from my friends. Today, the Ahanta Waves Surf School is owned and run by local surfers so that when you surf with us you also support the development of our community. The Surf Camp and Ahanta Eco Lodge is run together with my Norwegian partner, Julia Overas. When you visit Ahanta Waves you will not only experience the best surfing Ghana has to offer but also get to know the authentic Ghanaian culture and people. To me, the Surf School is more than a business, it’s my life. Busua is my home. I grew up in Busua and know every beach, rock and wave like the back of my hand and I want to share this knowledge with you. We hope that when you come to Ahanta Waves for your surfing vacation, you will not just feel anyplace. We hope you will feel at home, as part of our local surfing community where you will get a real connection with the people, environment and local culture. If you are looking for an unforgettable and unique surfing holiday, then Ahanta Waves in Busua is the right place for you! We are proud of our local roots. The name Ahanta Waves comes from the Ahanta Region streching across the west coast of Ghana. Legend has it that the Ahanta people traveled the sea by holding the tails of whales and dolphins. This is why the kings of Busua have the name Bonsoe (meaning whale). Today however, we rather like to use surfboards instead of hitching a ride with whales. Join Ahanta Waves Surf School & Camp to experience the local surfing lifestyle, the hospitability of the Ahanta people and the colorful culture of West Africa! We are committed to developing the local community through creating employment, and education opportunities. 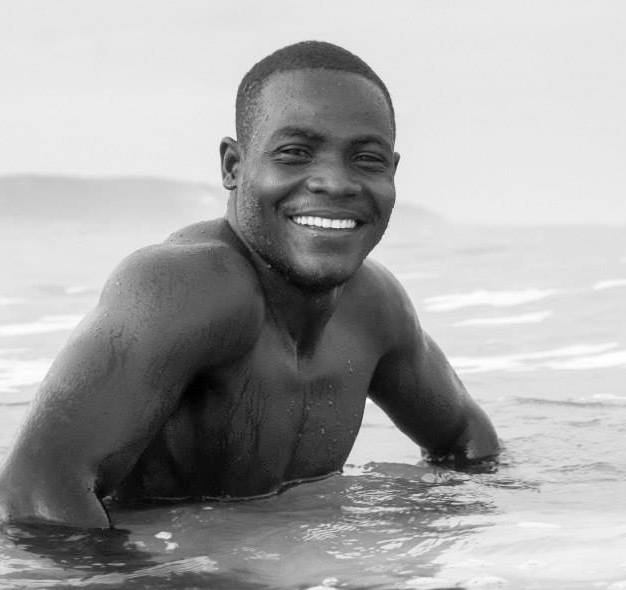 Ahanta Waves Surf School takes pride in being managed and run by local surfers!